On the evening of April 28th Rasoul Bodaghi, a member of the Teachers’ Trade Association, was released from Evin prison. 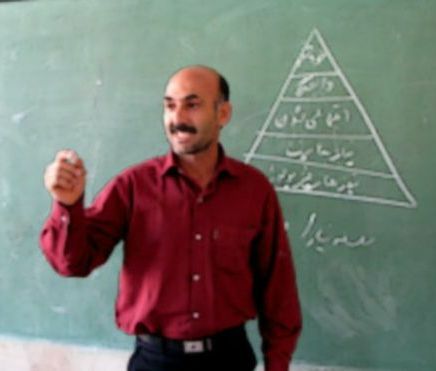 Rasoul Bodaghi, a teacher who has been in jail for seven years, has finally been freed a year after his original sentence had been served! Mr Bodaghi was arrested in 2009 and was sentenced to six years in custody. In September 2015, at the end of his jail sentence, he was sentenced to a further three years in jail. We send our best wishes to Rasoul Bodaghi, his family, friends and comrades with just two days to May Day. Source: Teachers’ Trade Association & HRANA.